Brazilian President Dilma Rousseff has inaugurated a new science museum in Rio de Janeiro that she hopes will become one of the Olympic city’s must-see destinations. 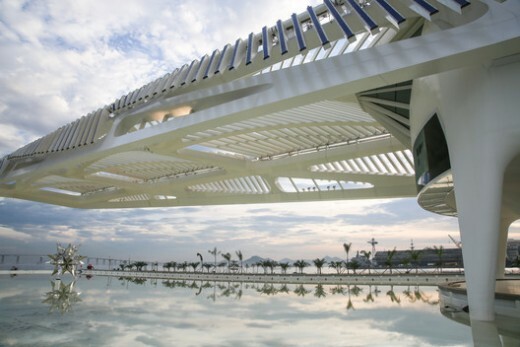 The $55 million Museum of Tomorrow was designed by Spanish architect Santiago Calatrava and is the centerpiece of a renovation of Rio’s derelict port area. 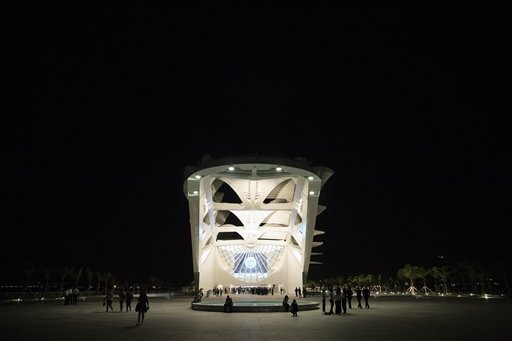 Rousseff hails the museum as “beautiful” and “innovative” and says she believes it will become a top destination in Rio, which is hosting the 2016 Olympics. Thursday’s inauguration was a respite from a recent barrage of bad news for the president, who is battling the opening of impeachment proceedings in Congress as the economy continues to struggle. Flanked by allies including Rio Mayor Eduardo Paes, Rousseff was warmly received by the event’s crowd of VIPs. President Dilma Rousseff, who joined a crowd of VIPs for the opening, said she believes the new museum building will become part of the city’s historical fabric as part of efforts to renovate Rio’s long derelict port area, reports phys.org. “Soon the Museum of Tomorrow will … transform this whole region here into a great location symbolizing the history of our country,” she said. Inspired by the natural landscape of the country, the two story museum features a cantilevered roof and facade with moving elements. 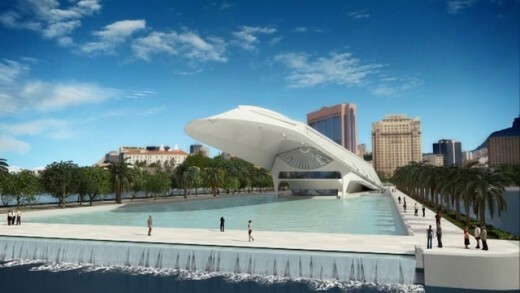 The museum retains Calatrava’s sleek signature aesthetic as it seems to be moving outward, pushing out into the bay. 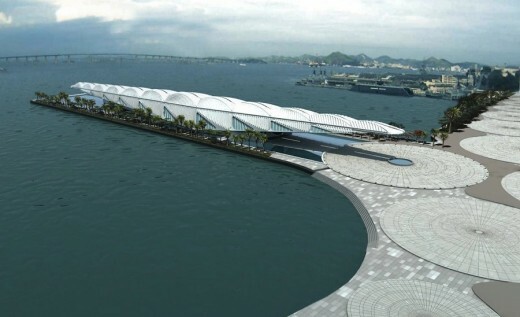 The design incorporates a continuous strip of landscape along the southern lenght of the pier adding to the effect of the museum floating on top of the natural setting. 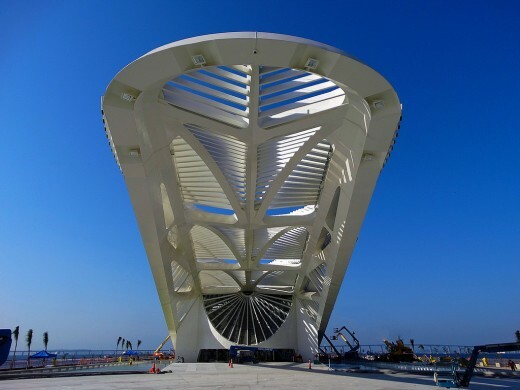 Santiago Calatrava’s design unites the boldness of his other well-known works with the beauty of Guanabara Bay and the history surrounding the Pier Maua, as well as the whole region of Porto,” said Eduardo Pes, Mayor of Rio de Janeiro. 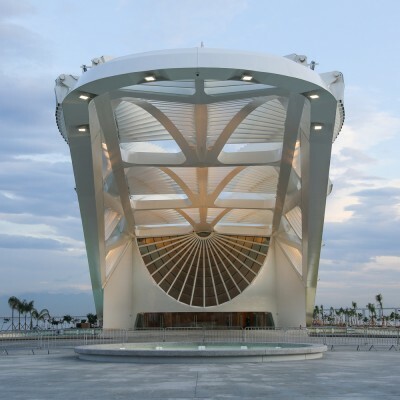 “The Museum of Tomorrow perfectly matches the genius of this amazing Spanish architect and the soul that is present in Rio’s harbor area. I’m sure that the museum will serve as a milestone in the revitalization of that area and the whole city. 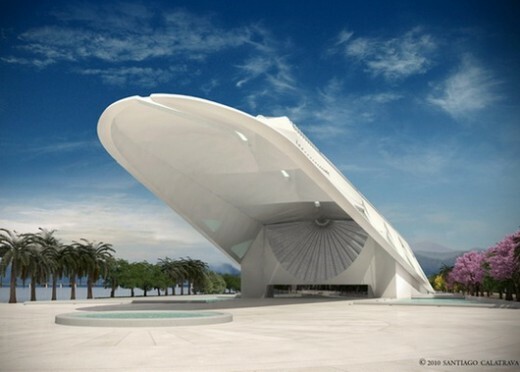 New York, NY (June 22, 2010) – Santiago Calatrava, world-renowned architect, engineer and artist, unveiled his design for Rio de Janeiro’s Museum of Tomorrow during a press conference yesterday in Brazil. 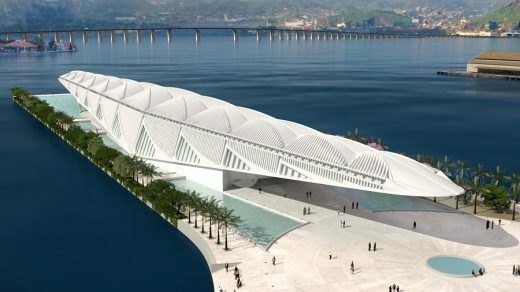 Calatrava was commissioned to design the sustainably-focused museum, as part of the ambitious “Marvelous Port” urban design project, which will transform Rio’s historical waterfront into a thriving cultural and residential community. Located on the highly prominent Pier Maua, the museum is an integral part of the urban revitalization commitment that the city made to the International Olympic Committee during its successful bid for the 2016 Olympic Games. 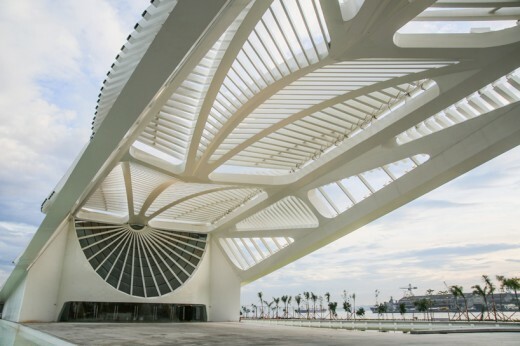 Seeking inspiration from the citizens of Rio and the surrounding historical landmarks, Calatrava’s design celebrates the natural landscape. The two-story museum features a cantilevered roof and façade with moving elements that extends almost to the full length of the pier, emphasizing the extension into the bay, while minimizing the building’s width. 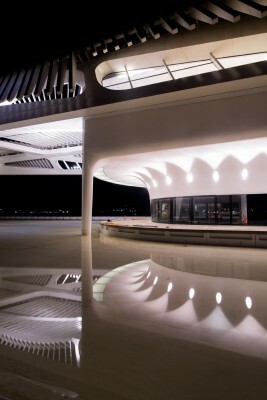 The building’s northern location maximizes a continuous landscaping strip along the Southern length of the pier, complementing views towards the historical Monastery de Sao Bento do Rio de Janeiro from both on and off the site. 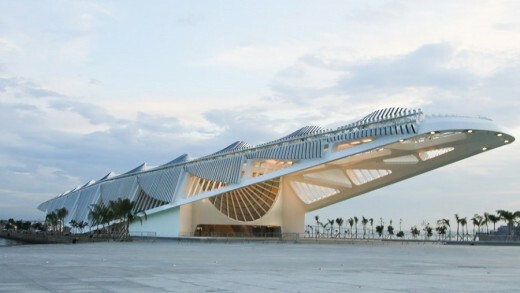 Calatrava, whose 2001 expansion of the Milwaukee Art Museum is internationally regarded as putting the Midwestern city on the map for arts and culture, was an obvious choice for the commission. 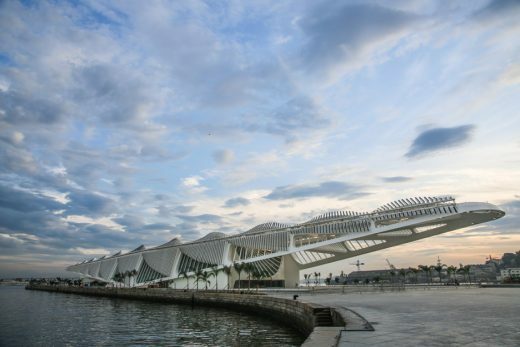 Calatrava is no stranger to urban revitalization. In Valencia, the architect transformed a vast wasteland into a thriving City of Arts and Science, while his recently opened Liege-Guillemins TGV Railway Station in Belgium has already become a prominent symbol of Liege’s renewal. In Dallas, Calatrava’s signature Margaret Hunt Hill Bridge, which is currently under construction, is designed to pump life back into the Trinity River, enabling it to become a central gathering place.